A compendium of articles including a 16 page reprint of Molecular phylogenetics from Taxon. 8 colour photos. 44 A4 pages. 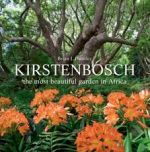 Describes 82 species, along with much interesting information on Gladioli, from this expert on African bulbs. 1996 10 ½ x 7 ½ 321 pages plus 16 pages of colour photos. Many people grow some of the Mesembs, but don’t venture much beyond Lithops and Conophytums. This is a shame as there are many attractive plants which are quite amenable in cultivation. There have been books on Mesembs before, but as there are so many species they can’t cover more than a small sample of the types. There has also been limited information on their cultivation which varies with the wide range of climate conditions the plants live in, and their varying ease of adaption to cultivation in our less than ideal conditions. So this, the first in a projected series, will be welcomed by many, as it both shows what can be grown and how to cultivate them. It is well illustrated with many colour photos both in cultivation and habitat including variations and close ups of leaf textures. Plus there are a number of botanic art paintings, seed capsule drawings and distribution maps. The genera covered in this volume are Aloinopsis, Deilanthe, Didymaotus, Ihlenfeldtia, Nananthus, Prepodesma, Tanquana ,Titanopsis and Vanheerdea Appendices include reprints of historical notes on cultivation by Tischer and others by Schwantes, Nel and Hall. 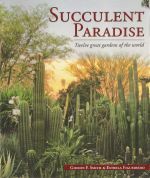 Written by a well known personality who has extensive knowledge of the plants both in habitat and cultivation this well produced book will be the ultimate reference on these plants and will do a lot to increase their popularity in cultivation. 94 colour plates of paintings, arranged by month, plus descriptive notes of this popular area of South Africa for plants. 1950 8 ½ x 5 ¼ . 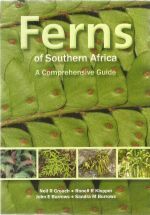 After a brief introduction to the geology and ecology of the Drakensberg Mountains, the book then presents a good guide to the plants, with one page giving descriptions and the opposite page typically 2 – 5 colour photos of the plants. 1978 11 ½ x 9 239 pages. 1967 reprint of 1920-21 original. After brief introductory section on history, distribution, cultivation etc the main part of the book is detailed descriptions of the plants, accompanied by detailed botanical drawings. 9 x 6 ¼ 314 pages. After an introduction by John Lavranos the book goes straight in to looking at each of the 23 accepted taxons (species and subspecies) with a distribution map, attractive detailed botanical sketches of the plant and parts (flower, seedpod) . Illustrated with a good number of colour photos of the whole plant, flowers, seedpod etc, all in habitat. 2018 English edition of the German language edition first published 2015 9 x 5 ¾ 173 pages THIS IS A PROPERLY PRINTED BOOK WITH THE PHOTOGRAPHS IN COLOUR – NOT PRINT ON DEMAND WHERE ONLY THE COVER IS IN COLOUR AND THE INTERNAL PHOTOS ARE IN BLACK AND WHITE. This is Gordon’s attempt to popularise a group of somewhat overlooked plants, and whilst subtitled “A grower’s guide to the succulent species of Senecio & Othonna”, as you’d expect he does also cover the history and morphology of the plants in his easy going manner. The succulent species and forms are individually covered in detail and are illustrated with colour photos and the occasional reproduction of an historic print. 1994 10 ¼ x 7 ¼ 238 pages Please note that Strawberry Press books are quite heavy and vulnerable to their corners being bumped in transit. I’m afraid that I cannot guarantee that there is no minor bumping on the copies I supply, but for those books with more serious damage I have reduced the price accordingly. 30 pages with colour photos and brief description of about 64 species. No date -?60's. A facsimile reproduction of the original first published 1838-49 in three volumes, Mammals (53 colour plates), Birds (114 colour plates) and Reptiles/Fish/Invertebrates (113 colour plates) 1977 13 x 9 ½ 259, 494 and 596 pages. The epiphytic, terrestrial and liane Orchids of Kenya are described, with about 2/3rds of them illustrated by colour photos. Many of the species grow in adjacent countries, and this wider distribution is covered. 1996 10 ½ x 7 ½ 176 pages. 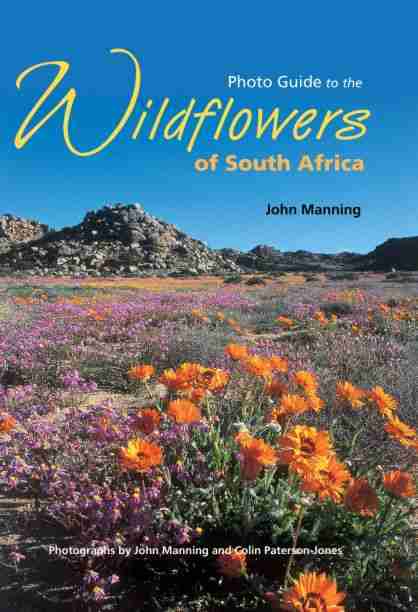 Van Wyk & Malan - Field Guide to the Wild Flowers of the Witwatersrand. This sumptuously illustrated book covers the geology, people, climate, survival strategies floristic zones of the plants and fauna of the area, written by an expert and excellent writer 258 pages 2000 12 x 10 ¾ Revised edition 2010 has 260 pages and is almost identical with original except for names brought up to date, extended epilogue and a very few changes to illustrations.